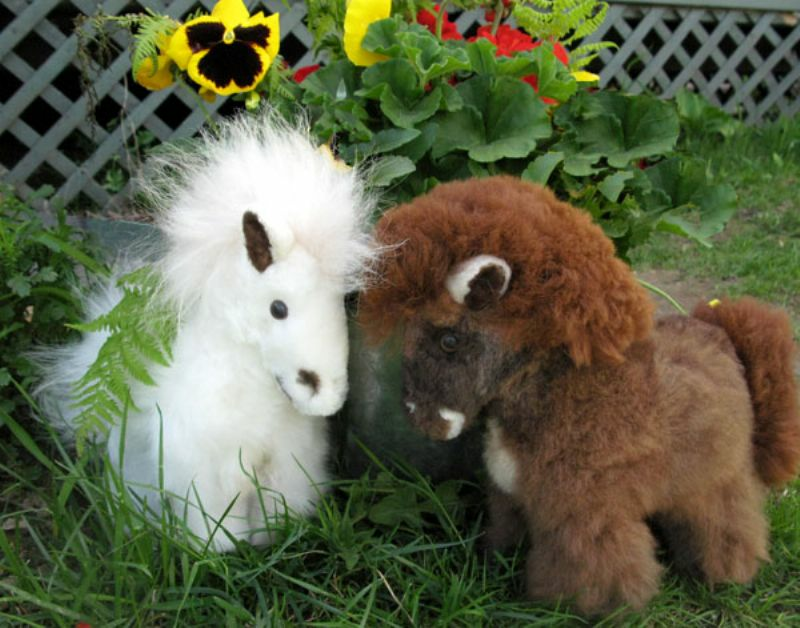 Just like the lions, these cutie pies come in a variety of natural alpaca colors. Approximately 8 to 10 inches tall. Add a comment if you have a preference for a color and we will do our best to accommodate, but whatever color you get, we know you will fall in love with it!